We did a simple art appreciation activity using light and art slides. 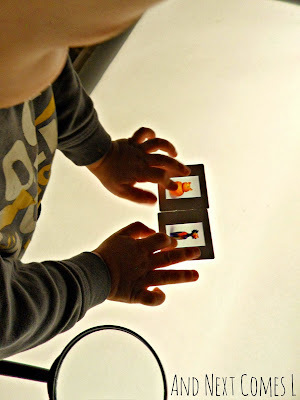 It was also a great way for my boys to explore the art that their grandma (aka my mom) makes. Head on over to B. Inspired Mama to read the post.